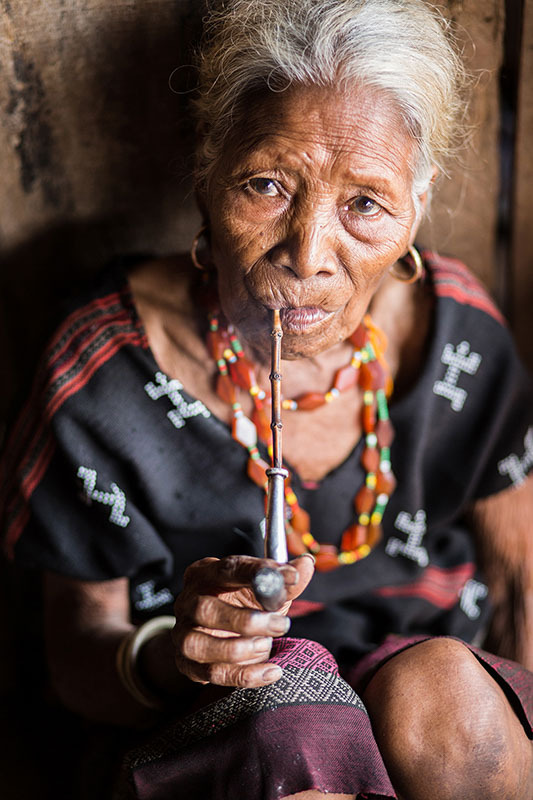 Of the Tà Ôi’s 3 subgroups, only one, the Kan Tua people possess the knowledge of how to make the traditional costume. Their weaving technique, called zeng, has the particularity of inlaying tiny glass beads into the brocade’s pattern. Because this local craftsmanship was slowly disappearing, a local woman decided to start workshops, not only to manufacture the costume again, but above all to teach the techniques. They now sell their products, to both locals and tourists in cooperatives that represent an opportunity for women to enhance their standard of living. 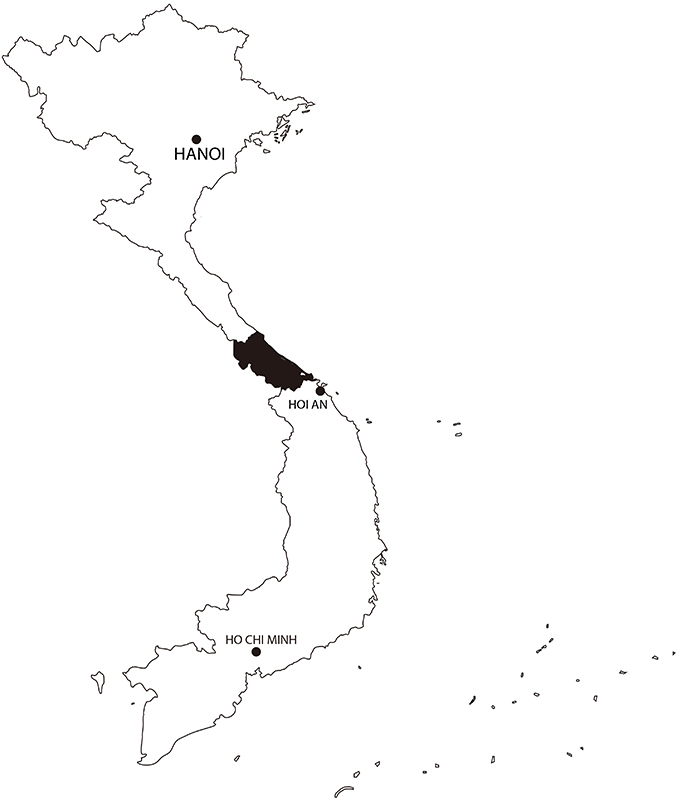 In the meantime, the A Lưới district, close to Hue is helping financially those structures. The woman pictured was very welcoming and invited me into her stilt house. Children gathered around with laughter while observing the shoot. You can see her pipe displayed in the cabinet.